Cheswick : Landscape Design Melbourne :: Garden News :: Sell that development faster, for more ! It is the vision of a fully realised landscape architect that transforms the house into a home. The landscape frames the house often acting as a foil to clean lines, often disguising neighbouring properties, often providing balance in the work-life arena. Several years ago high end developers realised the importance of the good landscape design and landscaping to complement a luxury new build. 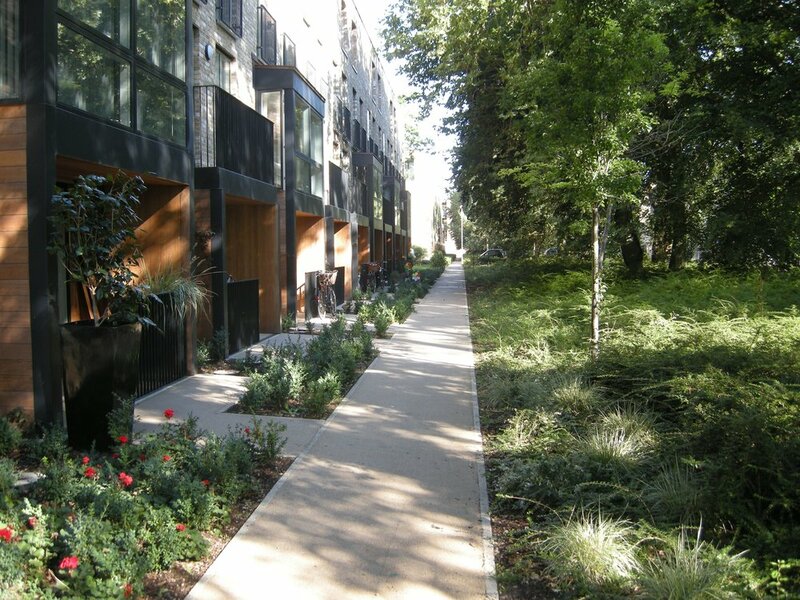 Using professional landscape design for boutique developments has had a powerful effect and by adding some well designed landscapes to their houses, prices have increased. This approach has gradually been dripping down to larger developments where the big house builders have recognised that well designed landscapes in all of their properties, not just the sales homes, can not only add value, but achieve quicker sales. The earlier a landscape architect is involved the better. Unfortunately I often see a lack of consideration for the potential in a landscape at the point when a house is designed. This results in a missed opportunity to take a good house and transform it into a great house. It may be the curve of the drive, the views from the house, or any number of small variables that can affect the final result, but the sooner attention is paid to the landscape the better. You can create a magnificent landscape without a house, but you cannot have a show stopping house without considering the ground on which it sits, revealing the landscape’s importance to the finished project. In Melbourne there are landscape conditions attached to all new house builds and it is worth the effort to create a scheme that satisfies the planning department and engages the owners. There is more thought being given to landscapes than when I began designing 25yrs ago, and the value of a garden that matches the house in proportion, design and ambition is now more widely seen. However, there is still some progress to be made to impress upon building designers, architects and developers the need to avoid the flat row of bluestone steppers and turf finish.